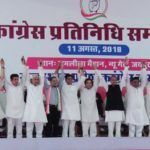 Sanganer Assembly Seat Candidates Name, Live Result 2018: Rajasthan Legislative Assembly election 2018 / Vidhan sabha chunav 2018 Candidates Name are mentioned below for this seat. Rajasthan Vidhan sabha Chunav voting is scheduled on 7th December 2018 on all 200 seats of the Rajasthan Legislative Assembly. 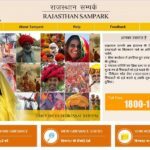 Rajasthan Assembly Election Live Results will be updated live here on 11th December 2018 for all 200 Assembly seats of rajasthan. Sanganer Seat Vidhan Sabha Chunav Results 2017: Win/ Lead on this seat live on 11th December 2018.